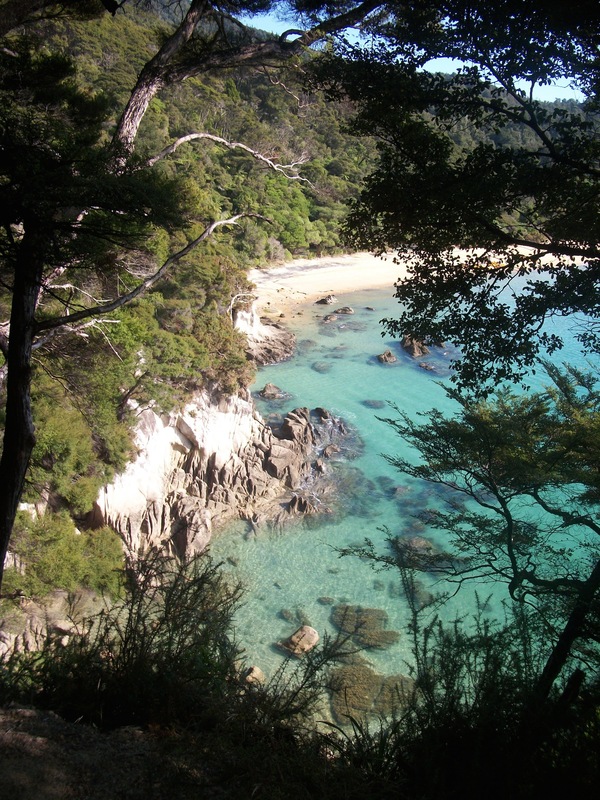 The Abel Tasman was our first Great Walk as a family. It was also our first family tramp longer than two nights—the kids were still at the stage where they sometimes needed a prod to get to the top of a hill (or more accurately, the promise of chocolate at the top). The Abel Tasman was the perfect trip—long enough to give the kids a ‘real’ adventure, and easy enough that they didn’t struggle with it. The distances between huts were short enough that the kids could spend hours playing on the beaches along the way and still get to the hut by mid-afternoon. I’ve heard that the track is miserable in bad weather—all those exposed beaches can’t be fun in the wind and rain—but we were blessed with perfect sunny days. Though it was April, the weather was warm enough for lots of swimming along the way, and the whole experience felt more like a frolic than a tramp. For me, the best part about the trip was gaining a greater appreciation for tides. The surges of water, so different from the normal waves, that fill the estuaries, bringing schools of fish and rays with them. The rippled and exposed mud flats of low tide. The twice-daily rhythm of inundation and exposure of the coast. It wasn’t a wilderness experience—the huts were filled to capacity, and boats stopped at most of the beaches—but it was a beautiful chance to explore a rich and dynamic coastline.